In what has been the most anticipated high school football game in sometime, the rematch everyone was hoping to see finally took place. In what was a cool, mild day at Yankee Stadium, the young men of Erasmus Hall High School have made the championship game for a fourth consecutive season. Standing in their way is the team that broke their hearts last year, the boys from Curtis High School. The Defending Champion Warriors came into Tuesday night’s contest with a 10-1 record as the No. 2 seed in the PSAL, with their only loss coming from the 11-0 number one seed Erasmus back on the opening week. Fans were lined up outside the gates waiting to witness the hottest matchup in town. 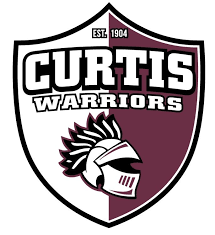 Curtis quarterback Quincy Barnes set the tone for the game as he got the Warriors out to an early 7-0 lead in the first quarter. As Barnes flourished throughout the game, Erasmus kept coming back with a one-two punch of their own. Curtis led Erasmus by 7 at halftime. Whatever Dutchman Head Coach Danny Landberg said to his team at halftime, they responded quite swiftly as the team tied the game at 22 with 12 seconds into the third quarter. From there, it was a back and forth affair with both teams scoring at will. 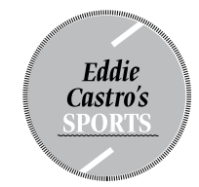 As Erasmus pulled within one point, the defense of Curtis made a big play to stop a 2-point conversion to hang on to a 36-35 victory in what was one of the most entertaining high school games of the year. Curtis wins back-to-back PSAL city crowns as the Dutchman suffered another heartbreaker coming so close to that championship that has eluded them for the past four seasons. In this situation, it hurts the boys of Erasmus so much. Trying so hard to bring a city crown to the Borough of Brooklyn. The phrase “maybe next year” just won’t cut it. I’ll say this: In the early 90s, it was the “Bad Boys” of the Detroit Pistons and the “Showtime” Lakers teams who were flexing their muscles throughout the league and continuously beating up every team in their way. One team that had some “growing pains” during that process was a young Chicago Bulls team. Eventually, Michael Jordan and the Bulls would eventually change the culture of basketball and become the new champs in town in the mid-90s. Maybe the “growing pains” this current Erasmus team is going through is just a simple process of adapting to defeat and keeping the hunger and fire to one day become PSAL champions. A big congratulations! is in store for the Brooklyn Boys of Erasmus. Four straight championship games is pretty impressive. Next year should be an exciting one with the team having a different roster with many of the senior class moving on to play Division I football next year, including their senior quarterback Keion Jones. The Dutchman will begin another chapter on the “road to redemption” next year.